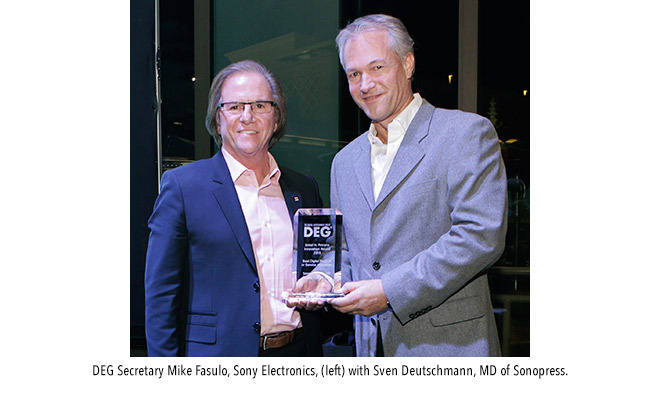 The Los Angeles-based Digital Entertainment Group (DEG) has recognized Sonopress with its “Best Digital Product or Service Innovation“ award for the launch of the Ultra HD Blu-ray 100 optical disc. Sonopress Managing Director Sven Deutschmann accepted the innovation award at the Consumer Electronics Show (CES) in Las Vegas earlier this month. In the summer of 2016, Sonopress became the first company worldwide to receive certification for the new optical disc, a ‘triple layer disc’ that can contain up to 100 gigabytes of data capacity. This was preceded by intensive process development and innovative machine configurations. Sonopress initially delivered the Ultra HD BD 100 to the U.S. market. 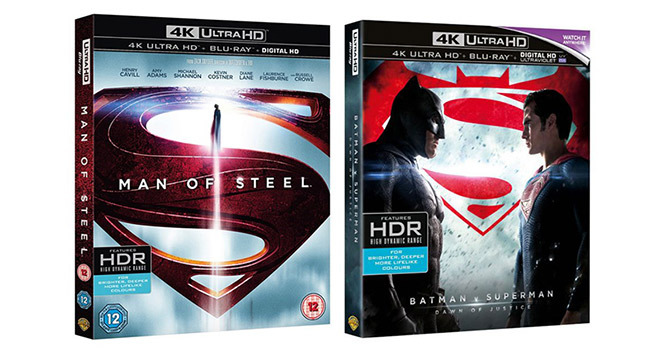 Among the first movies published on UHD BD 100 were Hollywood blockbusters like Man of Steele and “Superman vs. Batman, both from the major studio Warner Bros. Sonopress has now produced more than two million Ultra HD Blu-ray discs at its headquarters in Gütersloh, Germany. With additional manufacturing facilities in Mexico and Hong Kong, Sonopress had first produced a UHD with a storage capacity of 66 gigabytes in March of last year. Two months later, it launched the world's first fully automated production of Ultra HD Blu-rays with up to 100 gigabytes of storage capacity, thus consolidating its leading market position in this segment. Deutschmann expects additional impetus from the new game consoles with Ultra HD Blu-ray drives, such as the Microsoft Xbox One S, as Sonopress has for many years manufactured a variety of top titles for several of the world’s leading games publishers.